This All in One Menu Table Tent has a double sided insert feature for twice the display space. Space between frames can be used for menu storage. 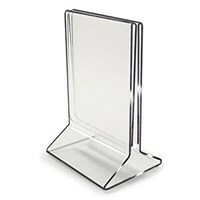 These table tent holders are the perfect size for small point of purchase advertising and restaurant's menus. 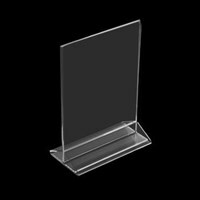 Available in several different pocket styles to hold magazines, brochures, or booklets, you are sure to find your countertop display solution. Great for use on countertops and tabletops in business lobbies, waiting rooms, reception areas, trade shows, and more. 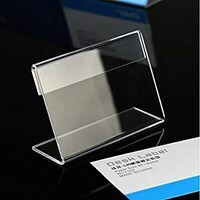 Clear name card, price tag label,Display Paper Promotion Card Holder Stand In Stores, fashion jewelry display stand. Anda Mencari "Menu Dan Information Holder"? 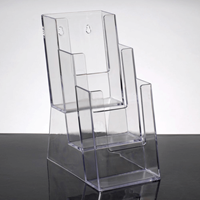 Buat Permintaan Untuk "Menu Dan Information Holder"
Acrylic Table Tent Frame photo sign menu holder. 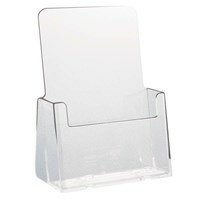 This menu card holder is an effective yet cheap means of advertising in a restaurant. Most dining facilities and bars use some method of promoting new food and beverage items at each table. This menu card holder, also known as a table tent, is one of the most popular means of displaying a short list of items for patrons to view.